Send A Message To Lieneke. In the late 1970's, a famous researcher named Gene Gendlin asked an important question, "What makes therapy successful?" After studying thousands of therapy sessions on tape, his research team came to an astonishing conclusion - that it wasn't the therapist or the type of therapy, it was something the client was doing naturally! What successful clients did in therapy was different from what other clients did. He uncovered what it was they were doing, and called it "focusing". Gendlin reasoned that if it could be taught, other clients could be more successful in therapy too. Since then, focusing has spread worldwide. Many people have learned how to do focusing on their own for personal growth and awareness; focusing can be involved in many applications. When focusing is used in therapy it is called "focusing-oriented therapy" and it's success and efficiency is ground-breaking. In 2000, I met a Canadian Metis therapist named Shirley Turcotte. For years, she had been effectively treating countless survivors of childhood trauma using an approach based on her Aboriginal heritage. She later discovered that her method was similar to something called "focusing-oriented therapy". Her therapy included many additional elements, important pieces that increased the safety and effectiveness of the technique, especially for survivors of complex trauma. This group of people traditionally had trouble getting treatment that would help them to move beyond surviving to thriving. Understanding flashbacks, silences, vicarious/multigenerational experience, the inner critic and other pieces, Shirley's trauma-sensitive approach worked exceptionally well. Unsurprisingly, using the same methods that helped survivors most efficiently also appeared to be very effective for many other issues such as depression, anxiety, stress, conflict, etc and not just for trauma. Shirley's approach is called Aboriginal Psychotherapy (Aboriginal Focusing–Oriented Therapy) and it is becoming internationally recognized as an effective and efficient treatment for a wide variety of issues, including trauma. Training and working with this approach for 10 years, I am certified to train and certify other counselors. Although I use focusing-oriented therapy frequently, I do not use it exclusively. Each person is different and the techniques I use reflect their needs. However, in many instances Aboriginal focusing-oriented therapy deepens and enriches other treatment modalities, providing the bodily-felt experiential piece critical for real and lasting change. It is a difficult process to describe and can really only be understood by experience; it makes use of a type of knowledge we might refer to as “whole-brain, whole body, whole felt-experience”. Accessing our issues in this way creates shifts in our experience, shifts we can feel as a sense of relief/release even if the content is challenging. Focusing-oriented therapists see clients as essentially capable and in process rather than sick (we see post traumatic stress disorder as post traumatic stress response – something anyone would get if they were exposed to similar conditions), and promote an attitude of acceptance and respect within oneself and without. Two years ago, I learned a newly discoverd technique called 'Matrix Re-imprinting'. With it I could help my clients change negative beliefs and add positive learning to their bodily-held experience. It amazed both myself and my clients, as we could bring healing into places and life events that hadn't been possible with focusing-oriented therapy alone. Now my clients often leave sessions feeling refreshed, rather than tired, even after deep neurological memory work. 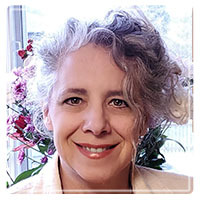 Matrix Re-imprinting revolutionized my focusing-oriented therapy work and I use the wisdom and techniques of both approaches to help my clients. Long-term research studies have identified exactly what successful couples do differently than couples whose marriages eventually fail. There are fundamental habits that are so beneficial that relationships can last 90% of the time if these behaviors are used (Gottman, 1999). However, the difficulty comes not so much in learning these successful behavior habits, but in maintaining a state of mind calm and caring enough to use them! Brain research has helped us to understand why people repeatedly act in ways that undermine their relationships; our brains are hard wired to produce negative emotional states when threats are perceived, either withdrawing or attacking. This of course makes it hard for us to think rationally and to behave in pro-social ways when we perceive a threat. In the end, getting into the right frame of mind becomes very important in allowing us to use the behaviors that work best. This is where focusing-oriented therapy can be very beneficial in couple’s therapy, as it helps you to shift your state of mind. Shifting from a defensive state to a connective state allows partners to use new behaviors and to form new habits. I use techniques that not only change awareness and thought, but facilitate transformation at the source of an issue.. Sometimes it is important to look at how core differences affect a couple as these may be causing a lot of discomfort and conflict on a daily basis. Research has shown, however, that the way a couple handles conflict may often be the most important part. The biggest trouble-maker may be the use of key behaviors known to cause trouble in relationships. My work is client centered, non-judgmental and multiculturally sensitive. I would welcome the opportunity to answer any questions you may have, or you may wish to visit my website.